Education Vs. Mindset Which is more important? 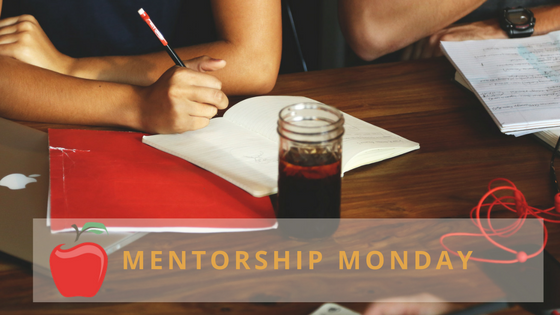 Some of y’all might have caught my Facebook video about this topic and other might not have which is why I wanted to write about it for today’s Mentorship Monday post. What do you think? Right now do you feel that having more CEU’s and spending time learning is more important or your mindset? So how many letters after your name do you believe it will take before someone believes you are as valuable as any other member of the medical/wellness team? I am curious because I know we all have amazing training in school and once we go through our internships we have been around clients, so what will help to build the confidence in your skills too? I went from my internship to running the nutrition department of a hospital, then helping open a fitness faculty to opening my own private practice and worked hard during each phase. I am here writing this because I believe you can do all this too, but do you? So what is really holding you back from your dream job? In many discussions I find myself asking professionals what do you want. The conversation often proceeds to a those who believe in themselves enough to start showing up at the professional level and those who are paralyzed by fear. I get that we all have fear of something and we all have life to worry about when we are starting a new journey- and yet I wonder what it might take to help someone to see that on the other side of the mountain of fear and doubt is this breathtaking life.Amazing things don’t happen in your comfort zone. Of course, there are exceptions to this phrase, but in terms of your personal and business success, why not see what your best can be? SEEK tough, challenging situations that you’ve never experienced before. Situations where you might fail. One of two things can happen – you can either end up victorious in your pursuits, and gain confidence, or realize you’re ability level isn’t there yet – but you will have gained a target to shoot for. Failure is never a reason to give up – it just helps you figure out a better way. Have the mindset of a challenge seeker and your ceiling is endless! Call me crazy, and I truly believe that most of y’all are like me and with all the right steps and a plan you can accomplish anything. Achieving your dream career is possible and you will have to do some hard work and having some very basic, simple habits and steps helps to make this possible. Reaching your dream job requires change. You must learn the habits that will ensure your success. Each of your goals will be achieved because you are committed to forming the habits REQUIRED and building the FOUNDATION that it takes to succeed. We will cover the calculated strategy you need to evaluate where you currently are and what you want to move towards. How a Precise Schedule is key to carrying out your steps and how to set up your day with your current work and make space to start your practice. Having a safety net or a place to check in to know you are doing everything in the right order helps to ease the mind and keep your focused – so we will be covering a check and balance system. Also, we will talk about how your mindset of being determined and unrelenting on your goals helps you to stay focused and mindful of why you are doing this.